Different states have different rules and regulations. 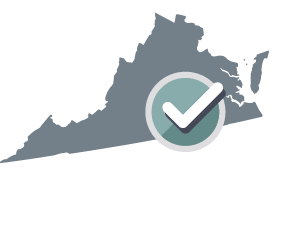 Your Vehicle Leasing Agreement will be customized for Virginia. This Lease includes unlimited miles. The Lessee will not be required to pay any fees for miles used. The monthly payment under this Lease is $1.00, plus a sales/usage tax of $0.00 spread over the Term of the Lease, for a total monthly payment of $1.00 (the "Monthly Payment"). The first payment will be due upon signing and the following payments will continue each month on the same day of the month as the Lease is signed. If a Monthly Payment is due on the 29th, 30th, or 31st, then it is due on the last day of the month in a month that does not have a 29th, 30th, or 31st. The sales/usage tax amount provided in this clause is only an estimate and will be adjusted upon notice of the Lessor. The Lessor reserves the right to change the Monthly Payment to adjust for increases or decreases in taxes. Monthly Payments may be made by check, post-dated checks, money order, bank draft or pre-authorized payment. mechanical damage that affects the safe, proper, or lawful operation of the Vehicle, which would include damage that causes the Vehicle to fail a safety inspection in the commonwealth where this Lease is signed. If there is a conflict between any provision of this Lease and any form of lease prescribed by applicable legislation of Virginia (the "Act"), that prescribed form from the Act will prevail and such provisions of the Lease will be amended or deleted as necessary in order to comply with that prescribed form. Further, any provisions that are required by the Act are incorporated into this Lease. This Lease will be governed by the laws of Virginia. What is a Vehicle Leasing Agreement? A Vehicle Leasing Agreement is a contract made between a vehicle owner (lessor) and someone who pays the owner to have possession of the vehicle for a predetermined period (lessee). The lease payment, which is typically paid monthly, consists of a vehicle depreciation fee, a finance fee which is similar to the interest charged on a car loan, and any relevant sales taxes. A Vehicle Leasing Agreement is commonly used with new and previously-owned cars, trucks, and motorcycles. However, the agreement can also be used with any motor vehicle that has a Vehicle Identification Number (VIN), which includes motorized scooters and mopeds, recreational vehicles, and power boats with a Hull Identification Number (HIN). What happens at the end of the vehicle lease term? At the end of the vehicle lease term, the lessee returns the vehicle to the lessor or, if the option is provided, agrees to purchase the vehicle. If the lessee opts to purchase the vehicle, their lease payments are applied against the total purchase price. A Vehicle Leasing Agreement also lists any penalties associated with ending the lease before the term is up. Early termination penalties can include having to pay the balance of the remaining lease payments, along with additional charges. What is the vehicle lessee responsible for? The lessee is responsible for providing the necessary insurance coverage, and must also keep the vehicle maintained and in good repair. If the leased vehicle is returned with excessive interior wear, large dents or scratches, or any significant mechanical damage, the lessor may choose to bill the lessee for the necessary repairs. Some vehicle leases place a limit on the number of miles the lessee can use; a common mileage allowance is 12,000 miles per year over the term of the lease. If the lessee exceeds this limit, a mileage fee is charged at the end of the lease. Alternatively, a vehicle lease may offer unlimited mileage, which does not place a cap on the distance travelled. Why should I use a Vehicle Leasing Agreement? It is recommended to use a Vehicle Leasing Agreement whenever a vehicle lease is being negotiated between two parties where a dealership lease form has not been provided. For example, you could use a Vehicle Leasing Agreement when loaning a car or truck to a friend or family member. Using a Vehicle Leasing Agreement will help to protect the interests of both the lessor and the lessee as documenting the terms of the lease will help to avoid any misunderstanding or miscommunication between the two parties.